albelli has acquired bonusprint as part of our continuing expansion in the online photo product market. Last week bonusprint and its website – www.bonusprint.co.uk became part of the albelli company portfolio. The deal follows albelli’s acquisition last month of Edinburgh-based www.fotobook.co.uk. albelli UK spokesman Keith Hanson added: “We are always on the lookout for great opportunities to expand our business and teaming up with bonusprint provides just that. 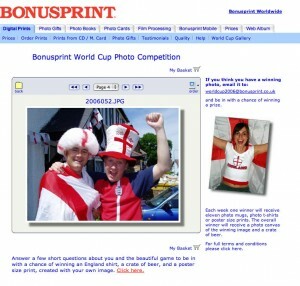 albelli plans to offer bonusprint customers a new online photo product shop at the same www.bonusprint.co.uk address, which will feature an enhanced range of products including digital photos, photo books, calendars, diaries, posters, canvas prints and gifts. Founded in 1965, the Hertfordshire-based company has been offering customers the best possible quality and value for 45 years, during which time it has evolved from black and white to colour photo processing by post right through to the online digital revolution. Anthony Ward, CEO of bonusprint’s former owner Grunwick, said: “We are delighted to have joined forces with albelli and its parent organisation, albumprinter. Teaming up with one of Europe’s leading photo book companies will enhance the services we provide to our customers and will significantly grow the bonusprint brand.